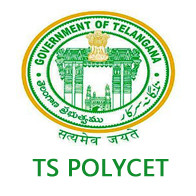 TS POLYCET 2018 is a state level entrance exam conducted by SBTET Telangana (State Board of Technical Education and Training) to offer admission in into Diploma level programmes conducted in Government, aided, Private unaided polytechnics and polytechnics run in existing Private unaided Engineering Colleges. The candidate must be a resident of Telangana/Andhra Pradesh State. The application process has been started from 14 March 2018 and will end on 11 April 2018. Candidates can refer our page to get all the related information of TS POLYCET 2018 like exam dates, eligibility criteria, application form, exam pattern, syllabus for the entrance exam. Latest Update: TS POLYCET 2018 application process has been started. The candidates can fill the online application form by following the link given below by 11 April 2018. TS POLYCET 2018 Application - Resgistration Started! Nationality: It is necessary for the candidate to be an Indian National and candidates should be resident of Telangana/Andhra Pradesh State. Age Criteria: There is no upper age or lower age limit. Qualifying Exam: Candidates must have passed SSC exam conducted by the state board of Telangana/AP or any other equivalent exam with mathematics as one of the subject and candidate have to obtain minimum 35 % marks in that qualifying exam. Candidates belonging to NIOS/TOSS/APOSS/CBSE/ICSE/OTHER Examinations recognized as equivalent to SSC by Telangana State must have passed all the subjects including Mathematics, Physics, Chemistry with a minimum of 35% Marks in each subject. Candidates appearing in SSC Exam whose result is not declared yet are also eligible to apply. Candidates who appeared or are appearing for SSC or equivalent examination being held in March/April-2018, and whose results are yet to be declared can also appear for POLYCET-2018. The TS POLYCET 2018 Online Application form is available on the Official Website of Telangana State Board of Technical Education and Training and the link to apply for the same is also given below. The Application form for all courses has been issued from 14 March 2018. The application form will also be available in offline mode. For offline mode, candidates can purchase the application form from the TS helpline centres which will be announced by the TS authority. The application form should be submitted in online mode only. Before submitting the form, candidates should take out the print out of the filled in application form and keep it safe. However, the offline application form should be submitted to the computer operator at the nearest helpline centre. Candidates can download their hall ticket through the official website of TS POLYCET. The hall ticket will be available to the candidates after 2-3 days of successfully submitting the application form. Candidates are advised to contact the helpline centres, In case of any error in the hall ticket. If any candidate will be found with wrong data in the admit card at the time of exam then, they will not be allowed to appear for the examination. It is to be noted that the Fee for all the Govt./Aided/Private/Un-Aided Polytechnics are under revision. The fee for all the polytechnics is to be fixed by the Government only. Give below is the fee structure of previous year. The TS POLYCET 2018 result will be announced on 28 May 2018. For qualifying any exam, the candidate must score 36 marks in total out of 120 to qualify for the examination. Scorecards of the candidates will be issued within one week from the date of declaration the result. The marks obtained by the candidate will be used for creating their rank list. On the basis of the rank secured by the candidates, the admission will be offered to them in the diploma courses. Rank Cards will be dispatched within a week from the date of declaration of results. In case of a tie in rank at entrance test, the marks of the following subjects at Entrance Test in the same order as given below shall be considered for resolving the tie. Counselling will be conducted for the successful candidates of TS POLYCET 2018. It is necessary for all the candidates to attend the counselling with original documents as prescribed by the authority. The seat allotment details will be displayed on the website by the exam conducting authority. The admission will be done the basis of TS POLYCET 2018 scores. Candidates who have been called for counselling have to bring the following certificates, which are relevant to them in original for verification purpose along with one set of attested copies. Marksheet of SSC or its equivalent Examination. Community Certificate from Revenue Authorities, issued by officers not below the rank of Mandal Revenue Officer (MRO) in respect of BC, SC and ST candidates. POLYCET-2018 Hall ticket and Rank Card. Certificate of study for the entire period of education from Class IV to X. In respect of candidates who appeared for the qualifying examination privately, without schooling, a Certificate of Residence. In case of candidates who are not local to any one of the University area, a Certificate from the Revenue Officer not below the rank of Mandal Revenue Officer (MRO) for a total period 10 years of residence, excluding the period of study outside the State, or in case of parent, excluding the period of employment outside the State. In case of candidates who are not Local to any one of the University areas, a certificate from the employer with whom the parents or the spouse of the candidate are employed. In case of candidates who are permanent residents of Quli Qutub Shah Urban Development Authority area and desirous of seeking admission, into QQ Govt. Polytechnic, Old City, Hyderabad, a Residence Certificate from MRO is to be produced (Original) (Refer G.O.Ms.No.383, LEN & TE Department, Dated 4-10-1985). The Ration Card and attested voter Identity Card of parent issued by Revenue Authorities are also to be produced in support of the claim. The Medical Certificate in the format given in Annexure-VIII, issued by State/District Medical Board in case of Physically handicapped candidate (Vide G.O.Ms.No.109, Women’s Development, Child Welfare & Labour Department, Dt.15-6-1992). Participation Certificate in International Youth Exchange Programme, Republic Day Parade at Delhi, State level competition, if any. Parent’s discharge certificate from service in case of Children of Armed Personnel (CAP) and Service Certificate in case of serving personnel from the competent authority. Games and Sports Certificate (Original) issued by various organisations constituted by State/Central Government to conduct tournaments at various levels (to be counter-signed by the Headmaster of the School / D.E.O.). Income Certificate issued by Mandal Revenue Officer in 2018. Minority Community certificate issued by the Headmaster. TS POLYCET Exam will consist of 120 Questions to be attempted in 2 Hours, The questions will be based on the syllabus of Mathematics, Physics and Chemistry of Class 10 SSC Examination.